Unlike hip and knee arthritis, the most common cause of ankle arthritis is following trauma (Post-Traumatic Ankle Arthritis). Therefore, it tends to affect patients at a younger age, usually around 50 years of age, but can also affect people in their 20’s and 30’s if the injury is severe enough. Pain, swelling, stiffness, deformity and limp are all signs that the ankle joint may be affected by arthritis, resulting in reduced mobility and chronic pain. 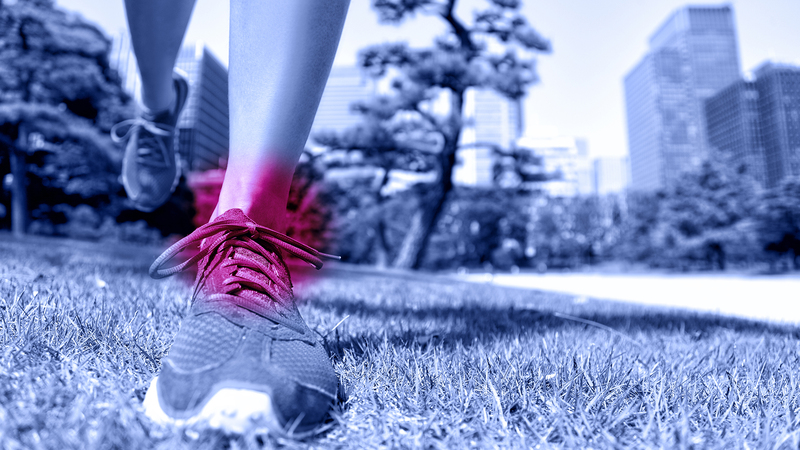 Keep active but avoid high impact activity on the ankles such as road running and where required use Pain killers. It can be very challenging to treat young patients (under 50 years of age) with ankle arthritis. Physiotherapy is really only of benefit in the very early stages. Steroid Injections may in some cases help in managing the pain and to preserve remaining cartilage. ‘Key Hole’ arthroscopic surgery is used to assess if the underlying joint surface can be stimulated using a technique known as ‘Nanofracture’. PRP/ACP, BMAC (Bone Marrow Aspirate Concentrate) for cartilage regeneration and stem cell therapy may offer significant benefit, but long-term results are not yet fully known. Ankle replacement may ultimately be required, and our surgeons use the Infinity Total Ankle Replacement with Patient Specific CT Guide Prophecy system to ensure optimum placement of the artificial joint prosthesis. The recovery time following fusion and ankle replacement will depend on the technique used and on the individual patient, but generally an ankle should be well on the way to uniting by six weeks and be united by twelve to fourteen weeks. The bone will then continue to strengthen as time goes on. Once the ankle has fused / stabilised you will be able to return to most of your pre-operative activities.